"I believe with God all things are possible"
I believe as long as you are breathing there is hope. It isn't how many times you've fallen or been kicked down, it's whether you'll get up that final time. I believe miracles occur everyday. Nothing absolutely nothing happens in God's world by accident we just may not understand at the time of an event why something occurred. I've been a licensed therapist and had an opportunity to work with trauma survivors since 2000. I have strong experience with anxiety and depressive disorders and most recently have had the honor of supporting school shooting survivors in their recovery. I'm a parent and I understand life can be painful but I do believe with God all things are possible and I will work and support anyone with a true desire to improve their life circumstances. I am blessed to have experienced being part of many clients going on to overcome many hardships through couseling. I would love to become part of your support team. I have seen clients who have described themselves as " shattered and broken" go on through therapy and prayer to become "self fufilled and blessed". Lynne is amazing! I have gone years without opening up to someone until it became unbearable. She didn’t pry or ask for more information than I was ready to give, and she is a constant encouragement. It doesn’t matter how big or small the problem I have, she’ll take the time and energy to make detailed responses. Very thankful to have her as a counselor! Lynne is very compassionate, patient, and kind. A real blessing! Lynne is competent as a therapist. She has met all my needs and concerns. I consider her as someone I can trust and lean on. I can contact her at a moments notice which is very comforting. She has been an answered prayer. I met Lynne when I hit rock bottom. Life got rough beyond my capabilities. I was looking for a counselor for my sister, she refused to see one because her last experience (years ago) was bad. I told her that I would have a session and then she could decide. I allowed her to listen to my session and she loved the interaction, the respect with which Lynne spoke to me and beyond that, she appreciated the sound advice I received from her in that first session. At this time, my grades were suffering tremendously due to the extreme stress. Lynne's advice was to the point and precious! After my meeting with her I studied with renewed confidence and low and behold I continue with my classes and my grades went up again! I believe in God and His power to help me through anything and Lynne shares this believe as well, how refreshing and wonderful. 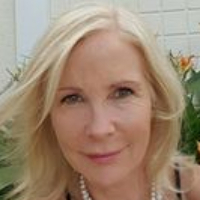 I recommend Lynne highly, she is respectful, attentive, a great listener and ready to give tools for me, my sister and my daughter to help us live a better life. I have no words to express my gratitude! Thank you, Lynne!